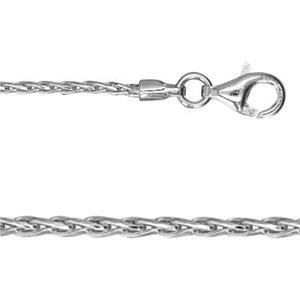 Jewelry rope chains are made from woven tiny wires or links for a braided appearance. Ropes can be extremely fine and dainty or more large and luxurious. Rope styles include french ropes, spiga or wheat chains, and lightweight Singapore style chains. Ropes are commonly used as jewelry pendant chains. Shop jewelry bails for suspending your focal pieces.